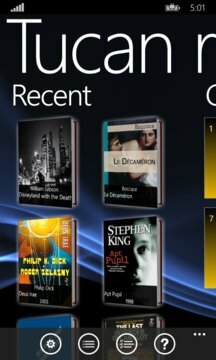 Tucan Reader is an application for reading e-book on Windows Phone 8/10 devices. A distinctive peculiarity of the app is pleasant design and ease of use of the rich app functionality. 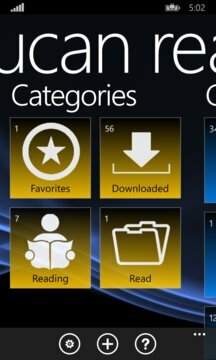 support SD card, OneDrive, Dropbox and BOX catalogs for book downloads.